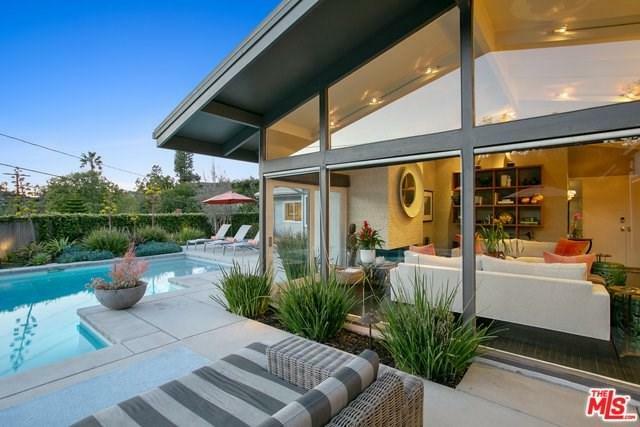 Stunning mid-century modern in Laurel Hills off Mulholland Dr., with an easy walk to Wonderland Elementary. This mini-compound perched above on a quarter acre lot with expansive views. The 2,765 sq ft, 4 bd, 3 ba home has two large adjacent living areas that seamlessly open up into the incredible resort-inspired backyard. Floor to ceiling windows and skylights bring an abundance of natural light and the vistas indoors to the living space. Canyon views from every room. This is the one you have been waiting for!